The Vancouver Alpen Club is hosting its annual Oktoberfest spanning three consecutive weekends in October this year. 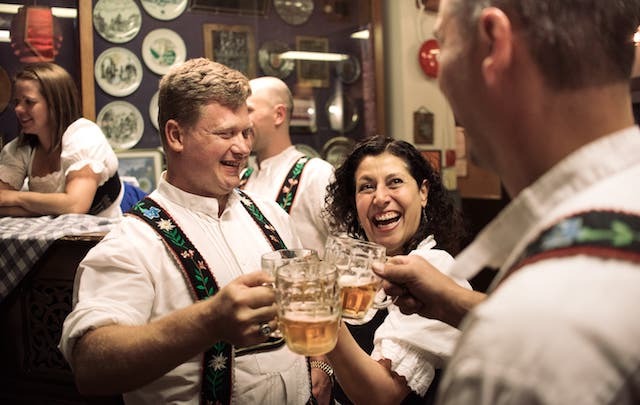 The Vancouver Alpen Club has been the home of Oktoberfest in Vancouver for over 30 years, serving up traditional Bavarian cuisine and partnering up with three German breweries Pfungstaedter, Krombacher and of course Erdinger, the world’s largest wheat beer brewery, founded in 1886. Tickets: Available online now for all three weekends. The regular ticket $35 includes the cover charge to Oktoberfest. The $75 VIP ticket includes the cover charge and entrance to the special VIP area with a server along with a delicious German buffet. I have a prize package to give away to one lucky reader and a friend! 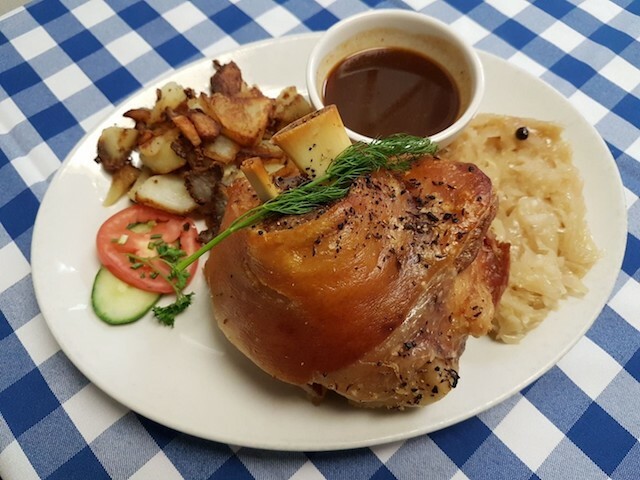 It includes 2 tickets to Oktoberfest for Friday, October 6, 2017 at the Vancouver Alpen Club PLUS 2 beverage flights and 2 classic Schnitzel Meals to top off the German experience. I will draw two winners at random from all entries at 12:00pm on Thursday, September 28, 2017. Update The winner is Alex! Would like to experience this for the first time! Always wanted to check this place out! Would love to experience Oktoberfest for the first time! That would be so much fun!!! Sounds great! A good bonding experience for me and father in law. Prost! Noch ein Bier, bitte. Kara and Jake……this is for You! Would love to take my German Husband! This sounds like so much fun, I would love to go! This sounds like a fantastic event to attend! This would be so much fun! Have never been despite my German heritage. We have a student with us from Germany… heard sooo many great things about the country and Oktoberfest! Would love to experience it! Love to try this event with my partner! Hmm, wonder if my Lederhosen still fit me. Hope to be Oktoberfest bound and get our Pfung on! Would love to celebrate my German heritage! Thanks for putting on such a great contest ! Have never been to an Octoberfest and being new to the area seems like a great way to join in the hurrahs! The Continentals are a riot! So much fun to be had! Ya Ya Ya! Looking forward to doing the polka again. Would love to celebrate Oktoberfest! Thanks for the chance to win!!! What a great contest. Would love to go to Vancouver Alpen Club and celebrate Oktoberfest. Thanks for the chance to win! I’ll be in Vancouver on that date and I like sauerkraut!! Oh, Yes! I’d love to attend this event. The Oktoberfest is such a special event, but I’ve never experienced it. I would love to go this year! Thank you for this contest. My friends and I went to this a few years ago… it’s the BEST time! Would love to go to Oktoberfest in YVR! This looks so fun! Hope I get to experience it! Schnitzel and bier. What more could we ask for? would be interested in going! Would like to attend this one! Haven’t gone in years! Nice to go again! Went to Munich but just missed Octoberfest by 2 weeks! However Hofbrauhaus was packed anyway, loved it, love the culture, such a great tradition, we would be very thankful to attend. Have always wanted to check this out! This would be fantastic. Eins, zwei, drew, Prost! Yummm. Schnitzel and a beer sounds delish and at a fun event!!! My sister is in Germany for a month, so I would love to attend the Alpen Club’s Oktoberfest and feel I’m in on the celebrations! Danka Schon! Germans know how to throw a good party! Sounds like fun…I love German beer & food!! This sounds like a special event to take my mom out! Yum Yum! Takes me back to…. I love the multicultural fun in this city! Proste!